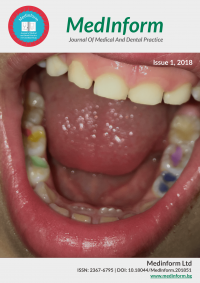 The present analysis focuses on examining a case report of a patient diagnosed with a pemphigoid located in the oral cavity. Materials and Methods: A thorough study of the English literature of the electronic databases “Pubmed”, “Scopus” and “Google Scholar” was held in order to accomplish our review properly. Case Description: The patient’s clinical state was thoroughly studied, along with the histopathological examination findings. Patient’s treatment and postoperative course are also within the scope of this analysis. Conclusion: Oral pemphigoid is an autoimmune disease usually located on the gingival. The use of corticosteroids with or without immunosuppressive agents comprises the treatment of choice. In any case, histological examination confirms both the clinical diagnosis and the differential diagnosis between other disorders.